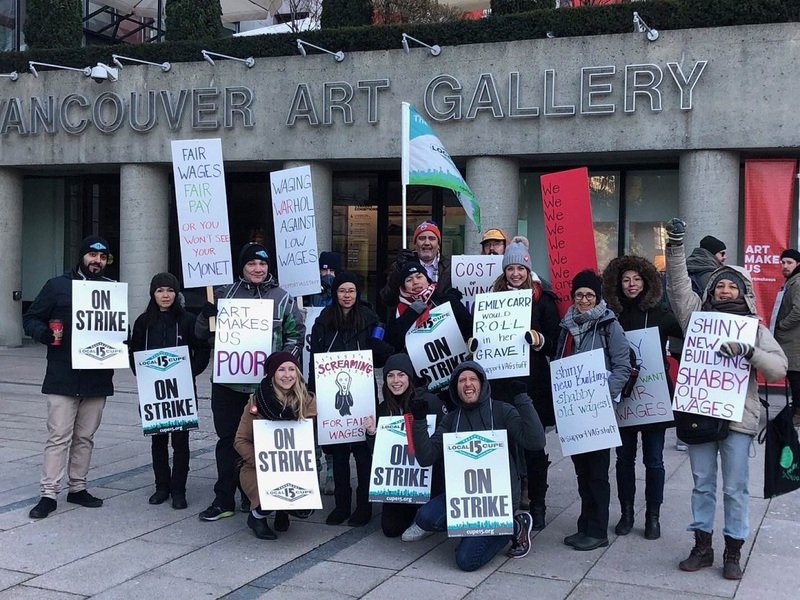 After rejecting the employer’s final offer Friday, workers at the Vancouver Art Gallery are walking off the job. The union served strike notice on Monday, January 28 but continued to bargain through the week in hopes of reaching a negotiated settlement. “For months, we have been seeking fair treatment from Galley business managers, yet we continue to face concession demands and two-tiered working conditions and scheduling models,” said CUPE 15 President Warren Williams.